Everyone wants to make sure they look after their money as efficiently and profitably as possible, bearing in mind their likely future needs and their attitude to risk. This is the book that they need to be able to do just that. Written in plain English, it is in two main parts. 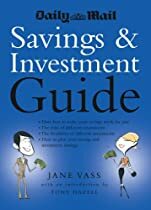 Part one looks at general principles of saving and investment, different types of risk, their effect and what you can do about them, and keeping track of your investments. Part two looks at all the different types of investment you can make from annuities through guaranteed income and growth bonds, all the way to With profit bonds. It explains what each is, highlights the good and bad factors associated with an investment, the charges that come with it, how you buy and sell it, the tax treatment, and alternatives to consider. And finally the guide contains a detailed fact file of useful addresses and other information.